Leave your hotel for 2 day Cairo & Luxor trips from Marsa Alam joining a private expert tour guide. In day one enjoy visiting Luxor tourist attractions, where you will visit Karnak temple, Hatshepsut temple, and Valley of the Kings, the next day fly to Cairo to explore the history of Ancient Egyptian Pharaohs in one of the Seven Wonders of the World “Giza Pyramids” then move to discover ancient Egyptian monuments in the Egyptian Museum, after that fly back to Hurghada and transfer to your hotel in Marsa Alam. Book Now! Internal flight ticket (Luxor-Cairo / Cairo – Hurghada). Pick up services from your hotel in Marsa Alam & return. Entrance fees to all the sights in luxor. 2 Lunch during tours in luxor and Cairo. Accommodation at 5* Hotel in luxor. We will pick you up from your hotel in Marsa Alam by a private air-conditioned modern vehicle to enjoy Cairo & Luxor trips from Marsa Alam. In the evening you will check in 5* hotel for overnight. The Great Pyramid belongs to “King Khufu“, it is the oldest and largest of the three pyramids of Giza plateau and the only one to remain intact from the 7 Wonders of the Ancient World. The height of the great pyramid is 147m, the number of stones used in construction is 2,300,000 and it took twenty years to be built. Lunch will be served at the Pyramids/ Nile view restaurant. Finally, you will catch the flight to Hurghada then transfer by a private air-conditioned vehicle to your hotel in Marsa Alam to end your 2 days Cairo & Luxor trips from Marsa Alam. First of, I would like to start by saying if you visit Egypt you should definitely try to book a tour to visit Luxor and Cairo. It was the best decision my husband and I made and it was the highlight of our trip. We booked with this tour company and they were very quick and efficient with setting up our tour. Everything went according to plan and there were no hidden fees or extra charges for anything. First day,our taxi driver picked us up at 4:30 am to drive us to Luxor where we met our tour guide Mahmoud. He was very nice and most importanly made us feel like family :). He took us to all the sites mentioned in our itenerary, to lunch in a wonderful restaurant with a great view of the Nile, and then to our hotel. I would highly recommend him as a tour guide in Luxor. He even checked on us to see if we did ok in Cairo! Second day we were pickes up on time from our hotel to be taken to the airport to fly to Cairo. There we met with our driver and tour guide Emy who were on time as well! Emy is a so full of knowledge and you will enjoy having her as a tour guide in Cairo. She was very clear, explained the history well,and knew how to take awesome and memorable pictures! She was passionate about Egypt’s history and I would really recommend her as a tour guide for Cairo. And our driver, bless him for navigating us safely through Cairo! Overall,my husband and I our satisfied with our choice and this tour company. Egypt is great! We booked a 2 day tour via our hotel. Mohammed Elshemei was our tour guide and hes the best! He is very knowledgeable and understanding with a great sense of humor. Most importantly, he knows the best picture locations and takes amazing pictures too! 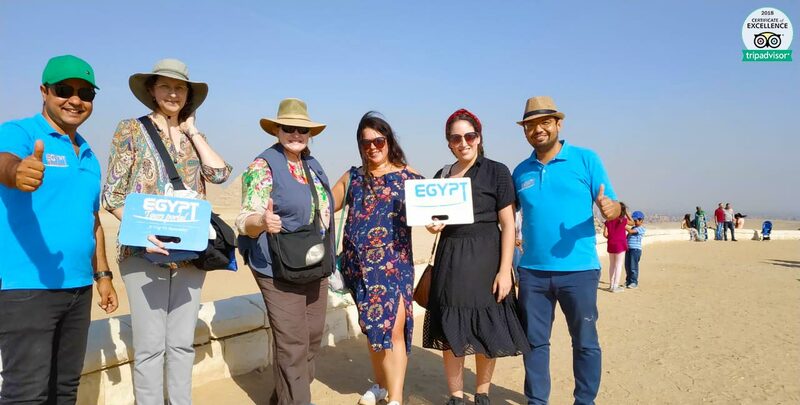 Egypt portal has been outstanding in delivering an amazing experience always on time and going above and beyond to provide a once in a lifetime tour, very informative and diligent. Abdul in Luxor and Mohamed Elshemei in Cairo and Giza, demonstrated extensive knowledge of ancient Egypt history and made extra stops for us to enjoy more sites and were super patient. Would definitely book with this agency again. Highly recommend. Can’t rate these guys highly enough – the price was fantastic and included all fights and tickets and lunch – we were well looked after at every step, including at the airports, all transfers, etc. Ayman guided us through all the key sites at Luxor, then Mohammed Elshemei and Minii took us around Cairo for the key sites. They were friendly and respectful and very knowledgable on the topics. We were able to benefit from their local knowledge and contacts and had flexibility to tailor as we required. Well worth every penny and I would not hesitate to recommend to use them for anyone considering going as not only was it very affordable, they made it as smooth a trip as possible within the environment. Many thanks!! Tim and Shoshanna. This was an excellent tour overall. We were staying at the Red Sea but really wanted to experience some of the other things that Egypt is famous for in our short time here. Cairo was fantastic and our day seeing the pyramids, Sphinx and the museum was made truly incredible by our fantastic tour guide Reham. I can not recommend her highly enough! She was so friendly and very knowledgeable on the history of Egypt. Reham was happy to answer all our questions and we really enjoyed learning the history of the places we visited. She speaks English perfectly and it was enjoyable spending the day with her. She was also very kind in helping us to take lots of photos as I really enjoy photography. She is a great representative for the company. The driver Ahmed was very good – he was a very safe driver even in busy traffic and always managed to appear when we needed him. Luxor was fantastic! The Valley Of The Kings, Karnak Temple and the Mortuary Temple of Hatshepsut were even more impressive than I had imagined. Our guide Ayman showed us around the highlights of the sights and told us many interesting facts. He was very good in looking after us in the morning including helping get change for notes and letting us know about the extra photography tickets to take photos. The main area for improvement was that Ayman didn’t seem to want to answer my questions and seemed like he had had enough in the afternoon and wanted to leave when we were going around Karnak and taking photos. Our driver from the hotel near Marsa Alam to Luxor then again from Hurgada to Marsa Alam was Hamada who was very nice and friendly and was always looking after us making sure the temperature in the car was right. I would definitely recommend doing this tour. Our luggage so we would not miss our flight to Cairo, they did all possible to go above and beyond to make our days with them incredible. If could give them 10 stars I would ! If you didn’t find what you are looking for, then check our breathtaking Marsa Alam excursions and choose your trip, or plan your dream vacation as you wish by contacting us via Egypt tailor-made holidays.